The Cove Self Catering Apartment - Porthtowan One double bedroom coastal apartment, with a sea view from the balcony; high quality self catering accomodation in Porthtowan, minutes walk to beach, bar & surf The Cove offers splendid modern self-catering accommodation for two at this new first floor apartment in Porthtowan, near Truro, Cornwall. 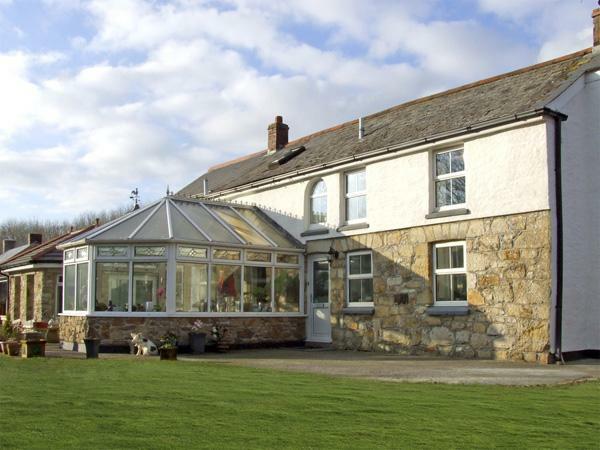 The apartment is conveniently located just off the A30- ideal for exploring the rest of Cornwall county and its various sights and attractions- in an idyllic and tranquil area of the north Cornish coastline. 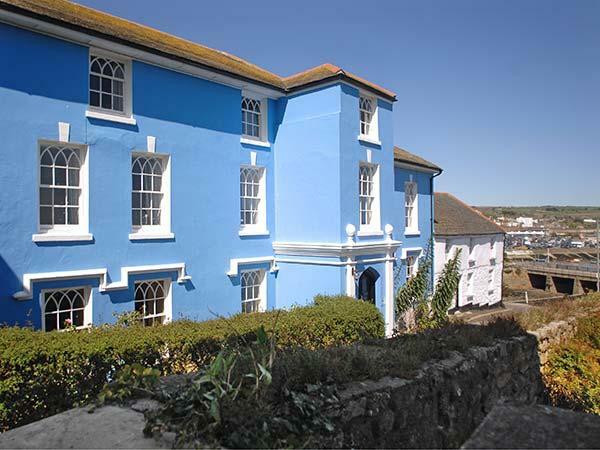 The boutique resorts of St. Ives, with its own Tate gallery, the Maritime Museum in Falmouth and the Blue Reef Aquarium in Newquay, a town famous for its surf culture and numerous competitions, are all just a short drive away from The Cove. 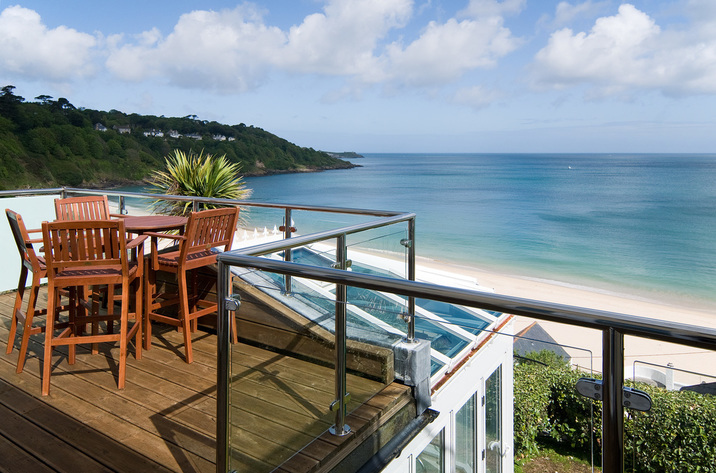 Idyllic location for a perfect coastal getaway. This quality modern apartment is ideal for a relaxing getaway with contemporary decor, sea views, fully equipped kitchen and balcony. A short walk can take you to a the beach, a beach bar, National Trust cliff-top walks and much more. Amazing sunsets can be admired from your balcony, the bar or sat on the beach. A beautifully furnished and comfortable apartment. The kitchen was very well equipped which means if you like cooking everything is available and it feels like a real home from home. The owner has thought of everything down to a rainy day box. I can recommend this to anyone. Very well equipped apartment ideal for a couple. 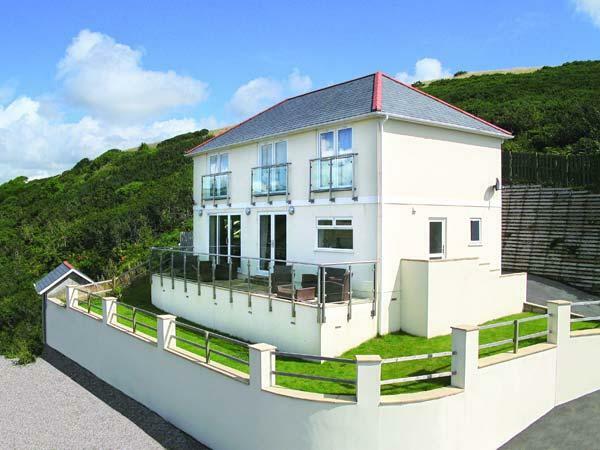 Apartment quiet but with easy access to Porthtowan and the surrounding attractions. We were very happy with everything. Thank you I'm glad you enjoyed your stay. The property was very clean, comfortable, and well equipped. Felt warm and inviting & safe with an allocated car park space, in a beautiful location approx 5 minutes walk from the beach. Just made for two (and a little one in a travel cot!!). 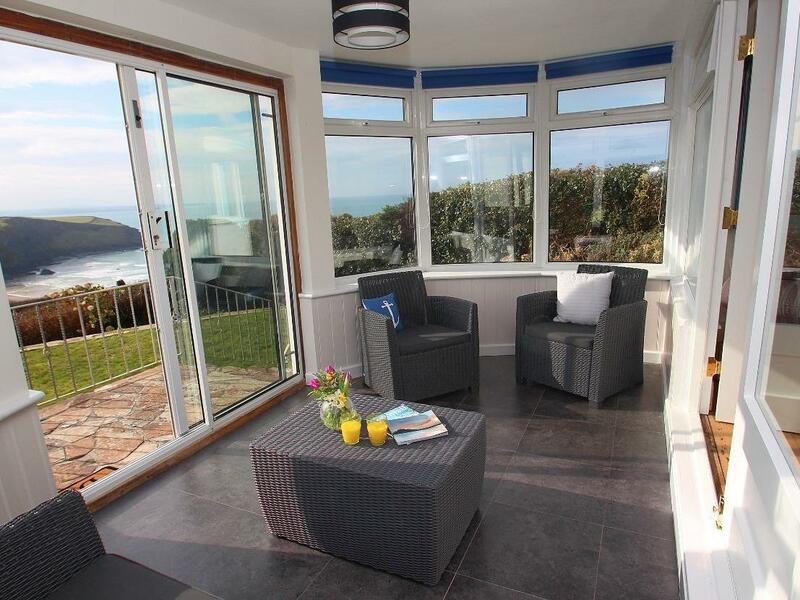 Easy commuting by car to other places such as Newquay, St.Ives & the Eden project. Also near the beach is a bar/restaurant, cafe, shop and an ice cream parlour, what more can you ask for.......oh yes sunshine please! Make up of party: Couples or as we had a young baby also. Stunning little apartment in a cute little surf town with a gorgeous beach - oh to still be there! V. clean and modern apartment with nice touches, such as balsamic vinegar, salt, pepper etc in the cupboard and a rainy day box. Perfect base for touring round Cornwall - we went to Falmouth, Mevagissey, Fowey, St Ives, Padstow, Port Isaac, Minack Theatre, St Agnes, the Lizard peninsula, so pretty much everywhere. We would definitely stay again. I just had to write a review about the fantastic week my husband and I spent at the cove apartment. The weather was glorious and because the apartment is only a stones throw from the beach we really felt like we were living the cornish dream. We surfed every day and had sundowners at the blue bar and witnessed the most amazing sunsets. The apartment was beautifully presented and fully equipped for all our needs and it is remarkably well situated for everywhere we wanted to go. I really cant recommend this holiday enough, we will be back next year. Cottage Review: What a holiday! What an apartment! had an absolutely fab time. The Cove was lovely homely cute and nothing was not here. Even down to the wifi connection. We would love to return again and will recommend you to friends. 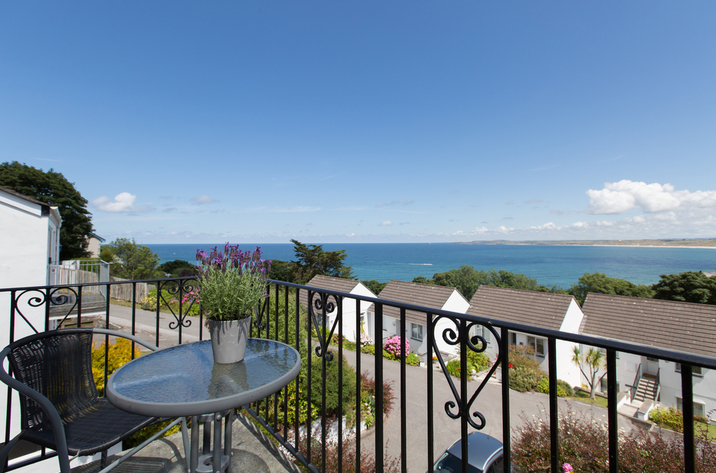 Cottage Review: The apartment is beautiful, stunning surroundings and perfect location, we couldn't have asked for more. Porthtowan beach was definately out favourite and we can't wait to come back, if only we never had to leave! Cottage Review: A fantastic apartment that we really felt at home in. All the little extra's were great and made use of - especially the file and the rainy day box! Shame about the summer weather but we found plenty to do. Cornwall is beautiful adn out location was perfect to get to all we wanted to see and do. 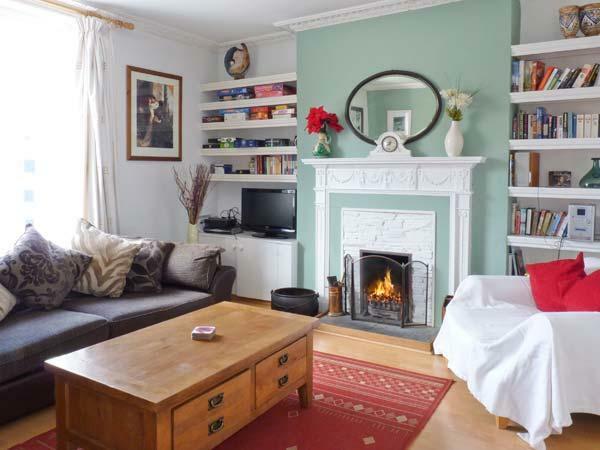 Cottage Review: A lovely clean and well equipped apartment. Really impressed with loction and the beautiful see views! Cottage Review: We have had such a wonderful week. The west country is oh so beautiful. Apartment nice and comfy. 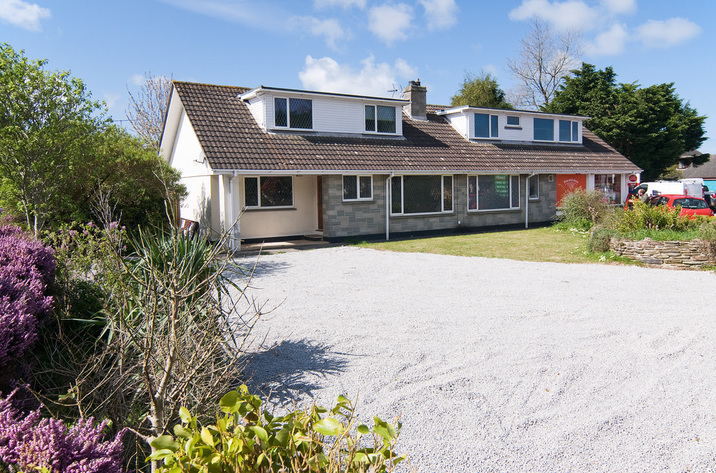 Cottage Review: An ideal location, warm and comfortable for a November stay! Cottage Review: What a beautiful place! We could not ask for any more , lovely furnishings, perfect location, the apartment is just fantastic, situated in the middle of some fantastic places and breath taking sights. It was the first time we have been to Cornwall adn already looking forward to coming back next year. It was the best Cornwall rocks!! Cottage Review: We have had an absolutely fantastic tiem! It was a toss up between Cornwall and Spain adn we chose the right one. . . the right week. . . and the right place! Many thanks for the experience and the very very well equipped apartment which has provided an excellent base for us. We have had terrific days, lovley nights and some overwhelming beautiful sunsets. We are both headover heels in love with Porthtowan. . . We'll be coming back! Cottage Review: A great, really well equipped apartment in a brilliant location for exploring. Really good to have the southwest coast path at the bottom of the road too, we walked over to St Agnes and the views were amazing. Cottage Review: Superb apartment. We would definately reccomend to friends. Fantastic place! Cottage Review: Apartment 1st class, great base to tour from. Cottage Review: The apartment is 1st class, clean and everything we needed. Would come again. 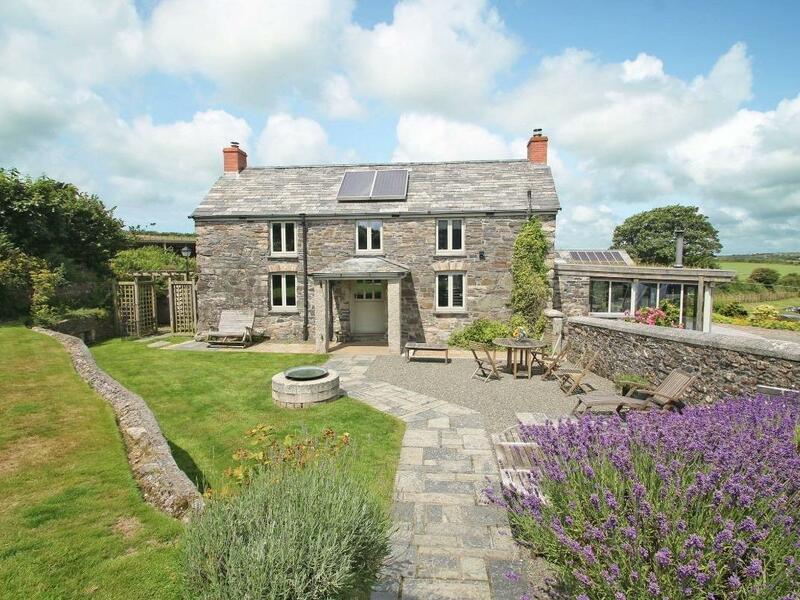 Cottage Review: Amazing apartment, location and part of the country. The facilities in the apartment are perfect. A+ service all round! Cottage Review: We have had such a lovely holiday. A week isn't long enough, and goes too quickly. The apartment is beautiful and was everything we wanted.